This morning I treated myself to an early start for a yoga class on the top floor of the Shard. 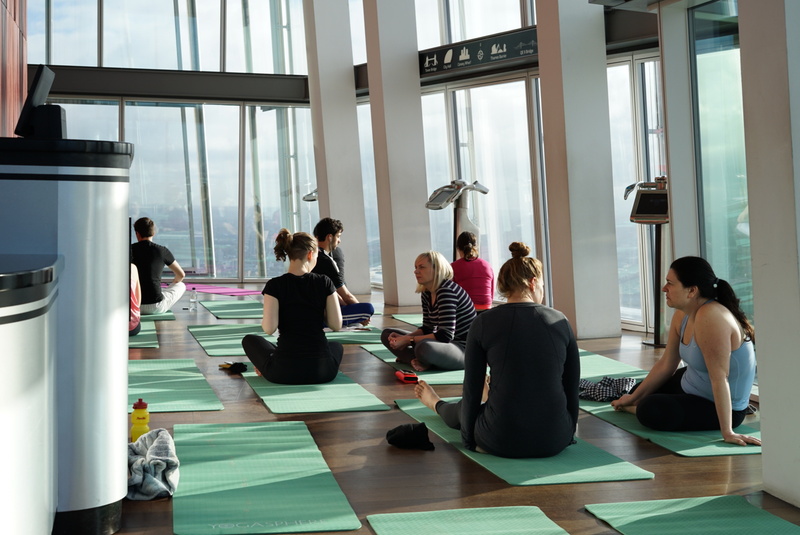 66 floors up the London landmark, bathed in Spring sunshine, with views stretching for miles, it was the perfect place for a relaxing yoga class… Where I remembered how unbalanced and inflexible I am! As I continue to build up the training intensity for Race Across America, classes like this should help keep me injury-free.